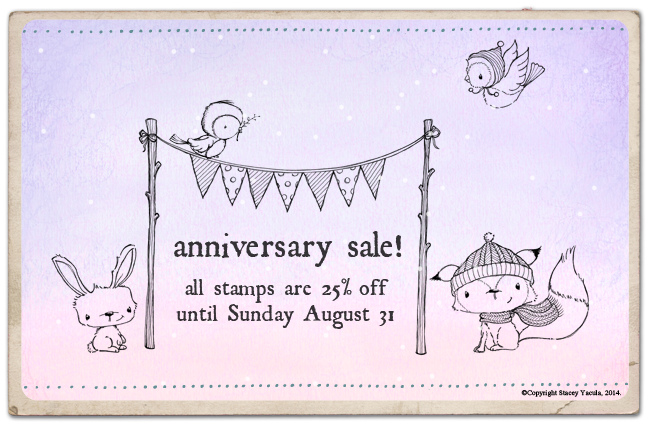 Purple Onion Designs is having their Anniversary Sale… that's a whopping 25% off all stamps! 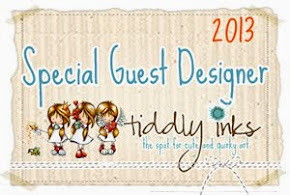 Check out the website for a great range of stamps and the blog for plenty of great inspiration. 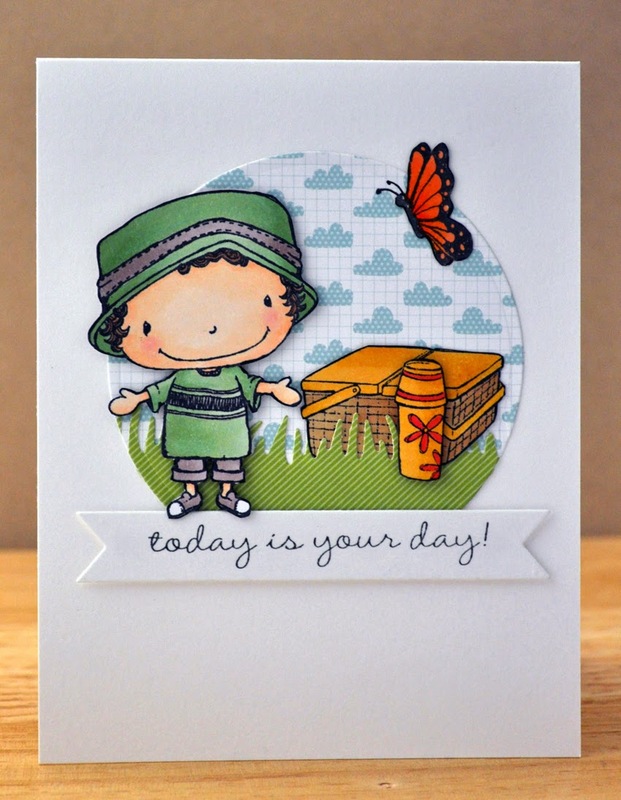 For my card today I used lots of yummy stamps from the Stacey Yacula collection - her designs are seriously cute. I love this image and have been wanting to colour him up for ages, he is from the Lazy Boy Set. I'm sure you all have a man in your life that this reminds you of! 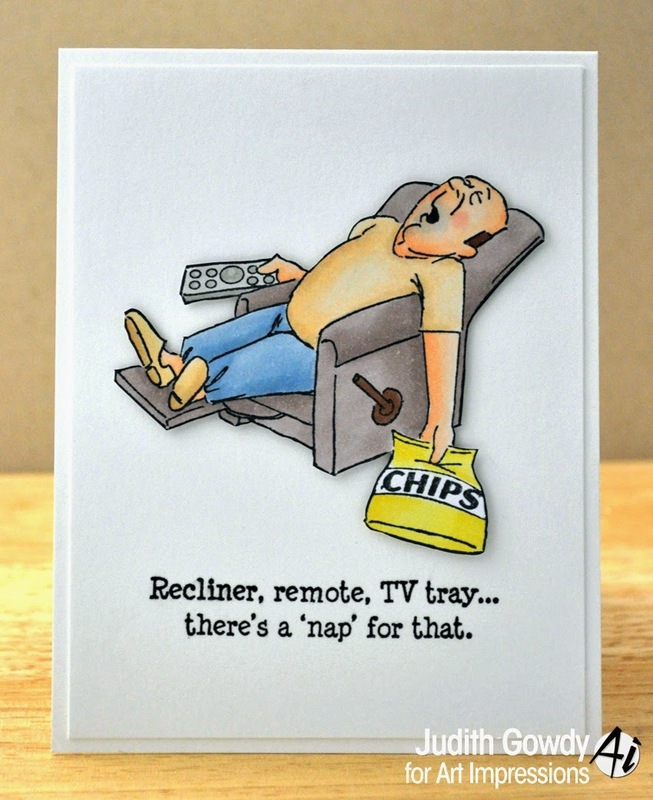 This is a very CAS card, lol, but I like that for a masculine card - no fuss. I have a card to share that I made for the current Ai Challenge - Show Off Your Sentiment. This is a sentiment only challenge - no images allowed! Eeekkk! 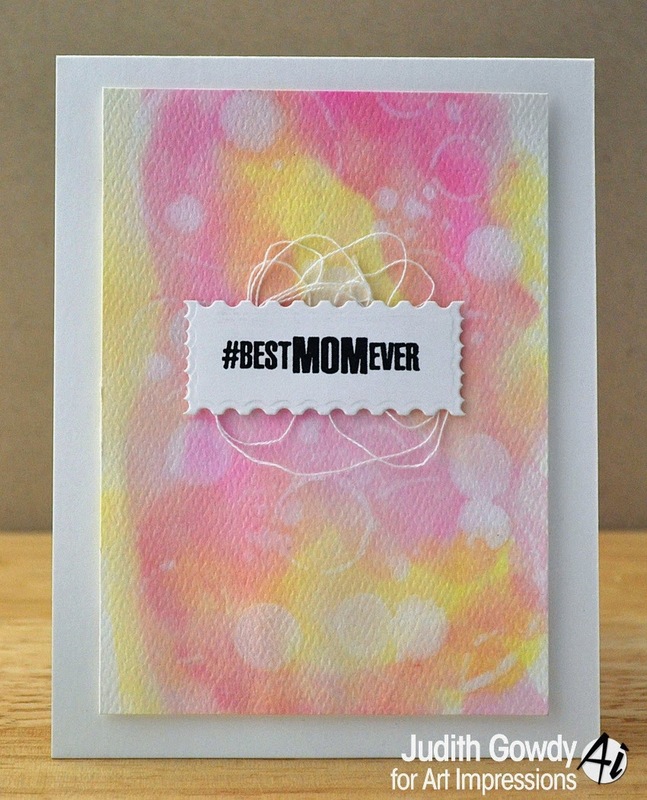 I used Squeezed Lemonade and Picked Raspberry Distress Inks for a water colour wash background and then used white ink to add open and closed circles. I hope you will join in this challenge :) Thanks for stopping by. I have another card to share today using the fabulous Whoots stamps from Art Impressions - I just don't seem to be able to get enough of them at the moment! 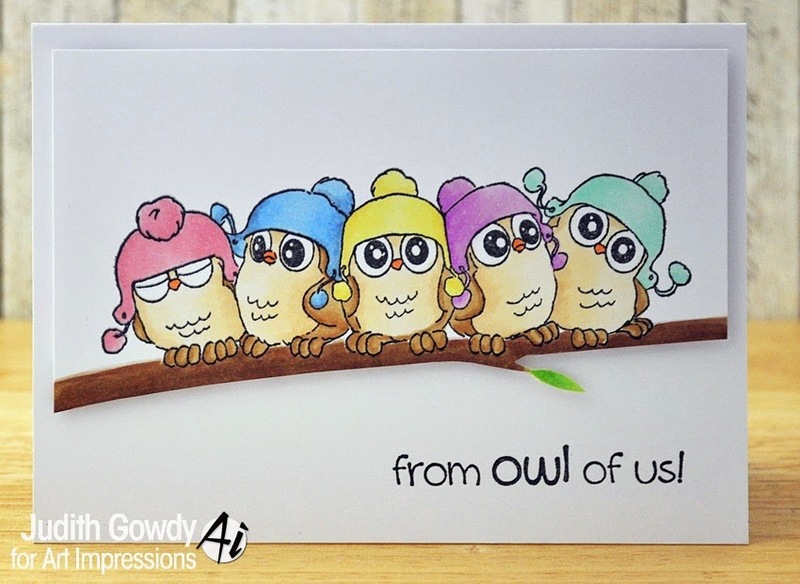 I stamped the image from the Five Whoots Set, drew in the branch and coloured with copics. I then trimmed along the branch line and mounted the panel with foam tape. The sentiment is from the same set.